We want everyone to have fun and enjoy the festivities over Halloween and bonfire night. However, not everyone wants to take part and Halloween can leave some people feeling anxious. 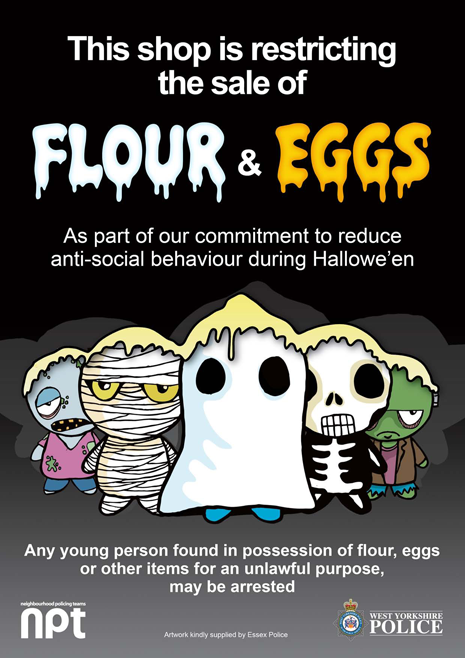 We have created a poster which can be downloaded (PDF 2.8MB) to display in your home if you do not want trick or treaters at your door. Local officers will be working in their local communities to tackle and reduce anti-social behaviour. For bonfire and firework safety adivce, please click here for our bonfire / firework safety information or visit the West Yorkshire Fire and Rescue service website.